Yawei Liu is director of the China Program and has been a member of numerous Carter Center missions to monitor Chinese village, township, and county people's congress deputy elections since 1997. Dr. Liu has written extensively on China's political developments and grassroots democracy, including three edited book series: "Rural Election and Governance in Contemporary China" (Northwestern University Press, Xi'an, 2002 and 2004), "The Political Readers" (China Central Translation Bureau Press, Beijing, 2006), and "Elections & Governance" (Northwestern University Press, Xian, 2009). He is the founder and editor of the China elections and governance website www.chinaelections.org. 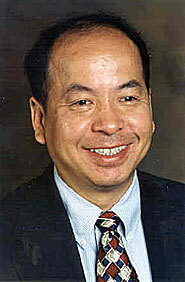 Dr. Liu is also co-author of the popular Chinese book "Obama: The Man Who Will Change America" (October 2008). He earned his bachelor's degree in English literature from Xi'an Foreign Languages Institute (1982), master's degree in recent American history from the University of Hawaii (1989), and doctorate in American political and diplomatic history from Emory University (1996). Read a Q&A with Dr. Liu on Political Reform in China.